As a leading supplier of quality metrology instruments to organizations throughout the world, the Bowers Metrology Group, through structured organic growth and strategic acquisition, has developed into a respected global leader in the field of measurement. Our first-class reputation has been built on the continuing Group ethos of striving for excellence in both the comprehensive range of products that we supply and the many quality services that we provide to our customers. The Group’s aim is to build on its hard-won reputation and continue to exceed customers’ expectations. Reflecting the all-inclusive nature of our products and services, Bowers UK provides British industry with the widest choice of cost effective, quality measuring instruments currently available. Supplementing Bowers’ own famous range of gauges, our enviable ‘sole UK agent’ status means that we can offer superior products from many pre-eminent metrology companies, such as Trimos, Sylvac and Wyler. Bowers’ diverse range of quality measuring instruments allows us to offer cost effective solutions to UK industries’ measuring challenges. 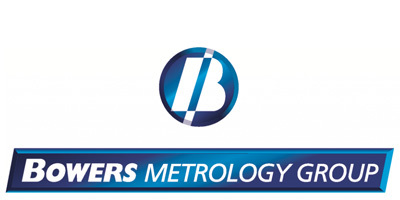 Long recognised as the world’s leading Bore Gauge manufacturer, Bowers Metrology continues to lead the field within the area of internal measurement. In response to customer demand and as a result of the company’s continued investment in cutting-edge technology, we now produce an increasingly comprehensive range of affordable, quality instruments intended for other applications, such as depth and external gauging. A past recipient of the coveted Queens Award for Export, we currently export 82% of our output. In keeping with its gauging roots, Baty acquired John Bull and British Indicators, extending its gauging range to include calipers and flexible fixturing. The range was then completed in the eighties when Baty’s first camera based Video Inspectors were developed. Video Edge Detection (VED) was soon added giving rise to increased accuracy, repeatability and measuring speed. Acquired by the Bowers Metrology Group in 2010, Baty is an ISO 9001:2008 accredited company that offers a range of Metrology Instruments from Hand Tools to Vision Systems, offering measuring solutions for almost every measurement application in modern manufacturing. With the largest selection of portable and bench hardness testers currently available within the UK, the CV arm of the Bowers Group has evolved into an all-inclusive material testing quality instrument supplier, with cost effective solutions to coating thickness, surface finish and many other disciplines now available. This pre-eminent member of the Bowers Metrology Group enjoys an enviable reputation for the quality of its celebrated measuring instruments and is a recognised leader in the field of micrometer design and manufacture.